Promoting cycle as an important means of transport has multiple benefits for environment, health and economy, the minister noted. 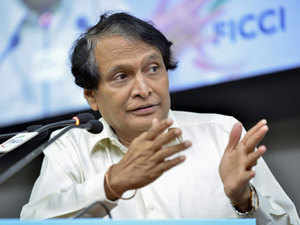 New Delhi: Commerce and Industry Minister Suresh Prabhu Friday pitched for developing special lanes for cyclists in cities, saying use of bicycles has multiple benefits for environment and health. "In city planning, there is a need to focus on cyclists. We must have special lanes for bicycles and pedestrian," he said. He was speaking at a Teri programme - Benefits of Cycling in India: An economic, environment and social assessment - here. "It will also help in reducing emission of green house gases and help controlling air pollution, which is a major problem in Delhi," he added. Prabhu also said that the ministry has set up a council for promoting manufacturing and exports of bicycles.